In this article, you will learn about Page outline feature and how to use it. 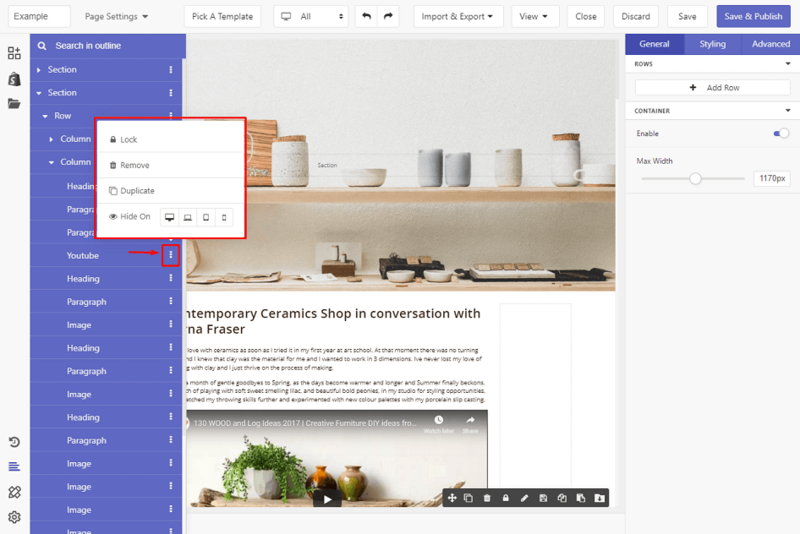 Ever wonder how to keep track of all sections and elements on your page neatly? Page Outline is the answer! The outline is a simple display of sections, row, columns and elements used on your page. Thanks to that, you can easily navigate to the element you want to edit, by clicking on its name in the layout. 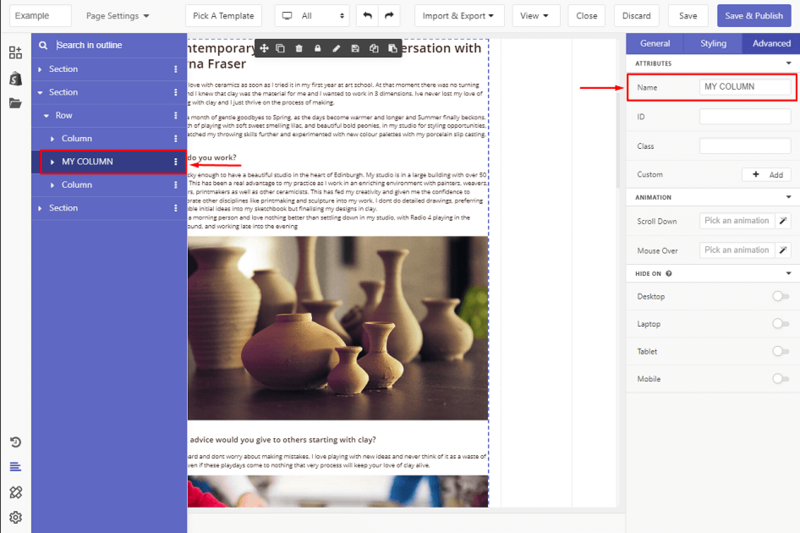 To explore the outline of your page, simply click on the Outline symbol on the left sidebar. Then, a panel will expand. By default, your page contains sections. To see what each section contains, open it by clicking on the arrow at the beginning. The order of sections/ columns/ rows or elements can also be rearranged by dragging that section/ column/ row or elements to the position that you want. To see more options, click on the three dots next to each item. You will see some quick settings for the item. Hide On: Choose to hide the item on Desktop, Laptop, Tablet or Mobile. You can select more than one option. Plus, if you find their default names (like Section, Row, Column or element’s name) confusing, you can give each element a specific name in the Advanced tab of that element.